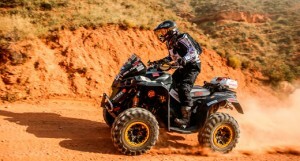 World-class racers joined the HunGarian Baja recently. The defending quad World Champion, Jose Luis Espinosa and the Marcos Moraes, Du Sachs duo will take part in the 10th HunGarian Baja. They will race in different categories but they would like to win. Papa is just two days away from hosting another motorsport competition after WTCC and Formula 1. This time Papa will be the location of the HunGarian Baja where a series of well-known races will be held. First of all, the FIA and the FIM will organize their next World Championship races, the UEM will host its European Championship race in motorcycle category and moreover the MNASZ will organize the next stage of the Hungarian Championship. The list of the racers was impressive already but other world-class racers joined recently. 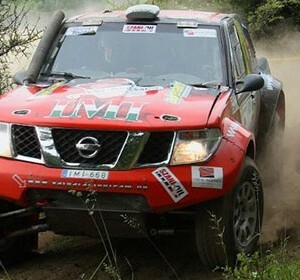 The defending World Champion, the Spanish Jose Luis Espinosa, achieved a third spot at the Baja Aragon before the HunGarian Baja. Espinosa is really motivated and he would like to defeat his biggest opponent Kamil Wisniewski, who owns the first spot on the combined table. “Fortunately my hand injury healed perfectly and I would like to enter every competition from now on because I want to defend my crown. I proved in my homeland that I am in a good form. So at this race I would really like to win. I hope that the tracks will fit my taste.” – Espinosa, who’s nickname is: Black Knight, said. The Brazilian Marcos Moraes and Du Sachs will come to Hungary to win in the T2.2 category. This is their debut year in the World Championship but they immediately won the Italian Baja and right now they are on the third place on the combined table but the first spot is still reachable for them. “Unfortunately we could not finish the Spanish race but we our win in Italy motivates us. If we want to be champions in our category then we cannot make any mistake from now on. We will fight from the beginning because we really want to win the Hungarian race.” – Moraes said.